I published my list of the Top 10 Films of the Year last Friday, and on Monday, I continued the countdown of the year’s best movies with the #20 - #11 list. As I said in both of those posts, this was a really great, extraordinarily deep year for film, making my usual overall Top 30 more essential than ever, and extremely difficult to narrow down and rank. Today, a little later than planned (the Holidays proved distracting), I’m sharing the rest of this list, finishing things off with one final countdown, for the #30 - #21 range. It’s another list of films I really love, a little more commercial than the first two, but also a bit more fun, and no less eclectic than any of the other countdowns. Once again, it’s dense with great titles, and as I said for the #20 - #11 range, if this had just been my regular Top 10 list, it would have been a good one. That’s what kind of year this was, and at the end of the article, I’ve also shared some ‘Honorable Mentions,’ another set of excellent films from the past year that didn’t make the Top 30, but are absolutely worth the recommendation. One film you won’t be seeing on any of my lists, which I should probably address before I get a flood of comments or e-mails about it, is Richard Linklater’s Boyhood. I respect the film. I understand why it has had such an intense impact on so many others. It did next to nothing for me personally, for a variety of reasons, and while I could spent an entire article outlining my specific response, I’d rather not be the spoilsport here. Many, many people love the film – people whose opinions I respect immensely – and more power to them. I didn’t, but there’s no need to dwell on it any more than that. It didn’t make my Top 30, it wouldn’t have made my Top 50, but since it’s showing up on many other critics’ year-end best lists, I thought it best to address the absence now, rather than later. As I said in my Top 10 Films of 2014 list on Friday, this has been a really great year for film, with a ridiculously deep bench of quality that made it simply agonizing to narrow down all the wonderful movies I saw this year into a measly Top 10. I had at least 15 or 16 films I considered ‘locks’ for the Top 10 at various points in the year, and my ‘shortlist’ – of movies I loved that are in general contention for year-end honors – went out to nearly 50 titles. As has been my tradition in years past, I like to create an overall Top 30 in addition to the Top 10, so that I may highlight more of the year’s best efforts, and in 2014, the Top 30 is richer and more essential than ever before. You’ve already seen the Top 10, of course, and I’m publishing the rest of the Top 30 today and Wednesday. This piece covers #20 - #11, and as I expressed on Twitter recently, this list of 10 titles is genuinely stronger than some final Top 10 lists I’ve had in years past. In all honesty, I like this list every bit as much as the main Top 10. It’s every bit as weird, personal, and eclectic, and if it weren’t a tradition to rank movies in order of ‘preference,’ I would just throw all of the films from both lists together in one giant tie for #1. I love all of these movies passionately, and the real reason I do these lists, after all, is to share and discuss all these great works of art one more time. 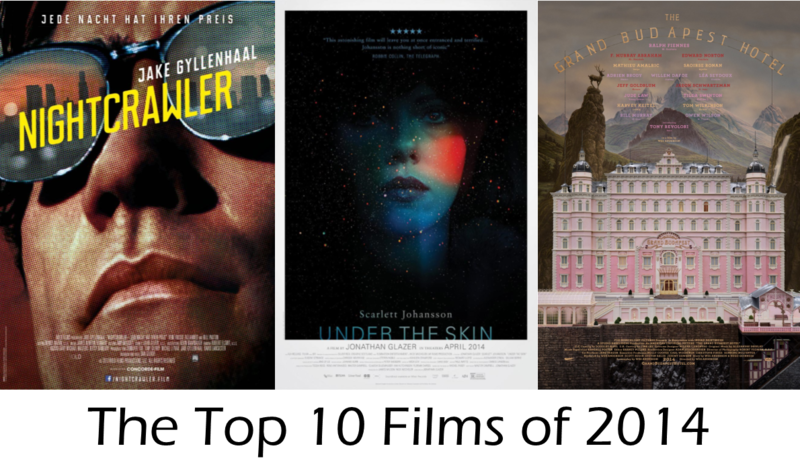 2014 was a great year for film. I know, I know…I say that every year. And I mean it each time I do. I think we live in an age where there is so much media produced, from so many places and so many voices, that it has become downright impossible for any year not to play host to some truly incredible art. When someone says it was a ‘weak’ year for film, I feel that reflects more on them and their viewing habits than the actual cinematic output of the last 12 months. Finding great movies isn’t always easy, and it does require a certain deal of effort. But when you start going that extra mile to search for something special, I think the gems start piling up pretty fast, and 2014 was no exception. For where other years have maybe had deeper benches of greatness, a clearer concentrated pack of real masterworks, 2014 had more sheer breadth of quality than any of the 10 previous years I’ve been writing about film. Wrestling down the long list of remarkable pictures I saw this year into Top 10 form was a painful task, and even my overall Top 30 – the rest of which I’ll be publishing in the coming days – omits a dozen or more titles I consider essential releases of these past twelve months. A Top 10 list is, in essence, a personal statement, as much a reflection of where the individual critic was during the year as it is an expression of quality, and as such, this year’s list kind of terrifies me. This is the darkest, densest, weirdest assortment of films I have ever featured on a Top 10, and seeing them compiled helps me understand the things I was going through these past twelve months, the existential reflection and personal reconsideration that was fueled, in part, by my experiences with these movies. I think this list tells a story, each of the films probing at essential matters of the human condition in ways that are challenging, heart-wrenching, uplifting, and exhilarating. 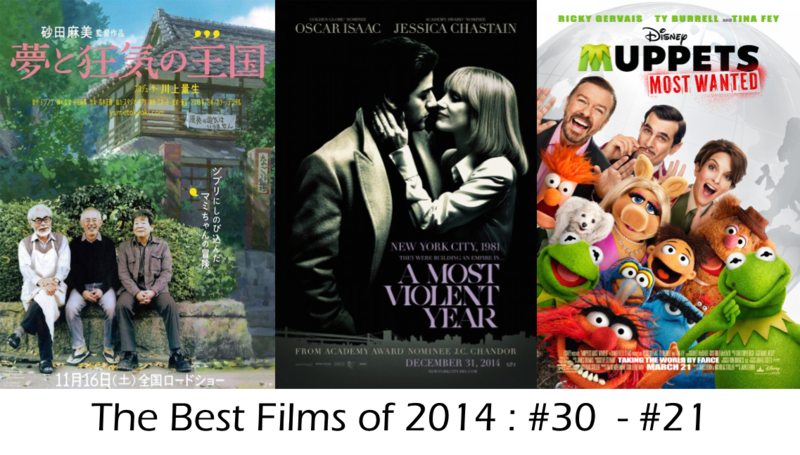 It was a great year for film, and these movies represent the stirring pinnacle. Before we get started, three quick pieces of housekeeping. 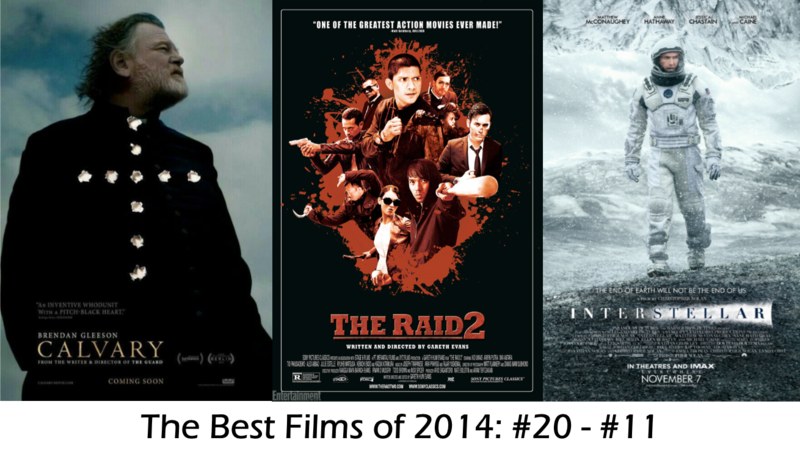 First, given the ambiguous or lucid release dates of some of these films, I want to clarify my rules for what qualifies as a ‘2014 film.’ It’s simple: If it had a commercial theatrical debut in the United States in the year 2014, or premiered in North America on the festival circuit between January and December, it qualifies for this list. Second, you can click on the title of any of the movies below to access my original review of the film, just as in years past. Finally, to make things special, I have recorded a complete audio version of the Top 10 list. You can stream it below, follow the link to stream or download the MP3 file, or subscribe to The Weekly Stuff Podcast to listen to it with your preferred podcasting app. Existing listeners of the podcast should already have received the file in their feed. Belated thoughts on the thrilling, terrifying pathology of Dan Gilroy's "Nightcrawler"
In my ongoing efforts to discuss as much of the year in film as possible before Top 10 time, I want to take another look back at a film from October, as I did with Birdman earlier. Like that film, Dan Gilroy’s Nightcrawler is one of my favorites from this past year. I actually saw it right after Birdman, on the very next evening, and it kind of killed me that I didn’t have time to write about either of them that weekend. These two films energized me at a time when I really needed it, when I needed to feel in love with movies again after months of work on a single, strenuous project. Honestly, I don’t know if my recent surge in productivity would have happened without these films. Before I saw them, I was ready to take some time away from writing about film, maybe skip the rest of 2014 and come back next year, but after being electrified by these two singular powerhouse works of art? There was no way I couldn’t stick with things, if I only so I could later make a Top 10 list featuring both titles (which it may or may not because, as I’ve said repeatedly, this year has been insanely rich with wonderful movies). 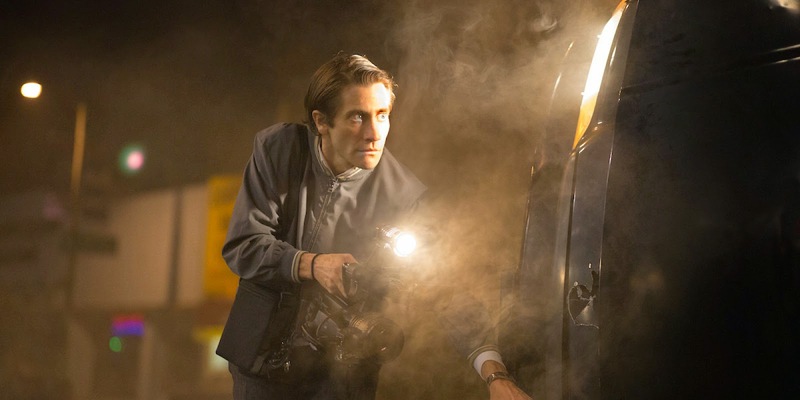 Nightcrawler is certainly worthy of the extra attention as, like Birdman, it is a film with an awful lot on its mind that also manages to be supremely entertaining, filled with haunting energy, provocative ideas, and one of the great modern character creations in Jake Gyllenhaal’s Lou Bloom. 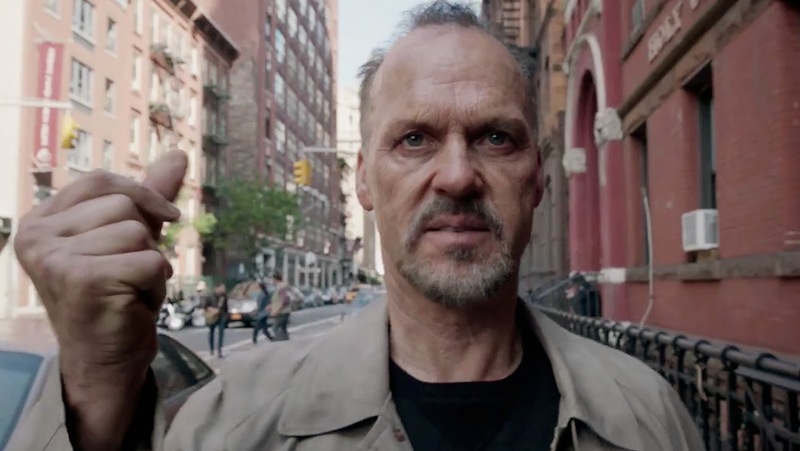 As with Birdman, I’m not going to bother avoiding spoilers here, as the film has been out for months, and as with that earlier piece, this analysis will be of most use to those who have already seen the film, and wish to discuss it further. It was eleven years ago this month that Peter Jackson wrapped up his first foray into Middle Earth with The Return of the King, and I can remember every detail of seeing that film with my family, on opening night in a packed and enthusiastic theatre, as though it were yesterday. The hallway at the Colorado Mills multiplex where we stood in line, and the enormity of the big, dual-purpose auditorium we all filtered into; if I went back there today, I could probably pinpoint the row in which we sat. I could tell you what the movie looked like to me as an eleven-year-old boy, the sheer enormity, grandeur, and grace of it – the way I felt, at the end of those three-and-a-half hours, that I had left my body behind and taken a life-changing journey to another world. I think I even remember the moment my father reluctantly left the theatre to use the restroom, defeated, for the first time over the course of the trilogy, by the film’s runtime. Of course, every detail of every time I saw a Lord of the Rings film theatrically, on first viewing or on repeat, has stayed with me over the past decade. We don’t choose our favorite movies. It is not the sort of thing one has a say in picking, but an emotional reaction one feels in one’s bones, the sensation that, no matter how many movies one loves, this particular picture is the one that lives in one’s heart of hearts – the shining, internalized soul that fuels one’s love of cinema. Jackson’s Lord of the Rings trilogy, collectively, is that soul for me. I have no say in the matter, and I haven’t ever since my life was changed by The Fellowship of the Ring thirteen years ago. The Two Towers only solidified things further, confirming that my love of Jackson’s Middle Earth was no fluke, and that the sheer, awesome power of cinema the director had introduced me to was not restricted to that first film. By the time that cinematic journey finished with The Return of the King, my own journey, as a film critic and scholar, was just about to begin; the impact of that final chapter was the ultimate push to send me off. There are no cinematic memories I treasure more than seeing The Lord of the Rings in theatres, and no films I hold closer to my heart than these, because my devotion to cinema is synonymous with their existence. Eleven years later, Jackson’s second foray to Middle Earth concludes with The Hobbit: The Battle of the Five Armies, and the film arrives in an extremely different landscape. The euphoric anticipation that met The Return of the King does not exist for The Hobbit films, for unlike The Lord of the Rings, they have not been groundbreaking or transcendent. The first film, An Unexpected Journey, was an inconsistent, overlong return to a Middle Earth filled with too much CGI and not enough plot; yet the film exceled where it counted most, delivering stupendous portrayals of every major character – Martin Freeman’s Bilbo in particular – and nailing the big moments – ‘Riddles in the Dark’ in particular – even as I found the lack of central focus troubling. The second film, The Desolation of Smaug, was a more confident and enjoyable feature in many ways, with better set-pieces and superior character work, though the film’s structure seemed even more haphazard than it did the first time around. All the while, I found myself unwilling to make any major judgment on the trilogy, as so many were both before and after the films started coming out. I wanted to see how Jackson would wrap things up, to discover whether or not the final chapter would satisfyingly pay off on the two films preceding it, before deciding whether or not this second trip to Middle Earth was ultimately worth the voyage. Suffice it to say, I doubt there are many people out there more invested in the idea of Peter Jackson recapturing that Lord of the Rings magic than I am. And in The Battle of the Five Armies, Jackson has finally tapped back into it, one last time. As explained in this post from Tuesday, I’m seeing a wide swath of films right now in preparation for my year-end Top 10 list – which you should expect next week – and I am trying to write about as many of these movies as I can along the way. This means that not everything will receive a full review; films that I am either getting to late, or which I feel don’t necessarily warrant a full review, will be grouped together in multi-review posts, which will allow me to cover more films in a shorter amount of time. 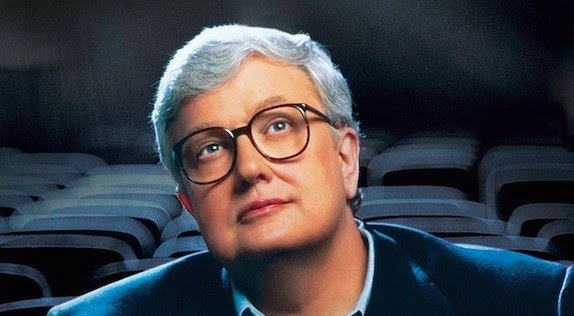 Today, that effort continues, with thoughts on two documentaries that came out earlier this year: Laura Poitras’ Citizenfour, about Edward Snowden and the NSA leaks from 2013, and Steve James’ Life Itself, about film critic Roger Ebert. I think these two documentaries offer a fascinating contrast. They are both absolutely worth watching, but where one – Citizenfour – takes a subject I would call essential and crafts a fairly loose, mediocre film around it, the other – Life Itself – tackles a much less ‘pressing’ or ‘significant’ topic with absolutely extraordinary grace, intelligence, and cinematic power. Even in the realm of documentary filmmaking, what a film is about matters less than how the film approaches its subject, and these two movies are a prime lesson in that fundamental tenant of cinema. 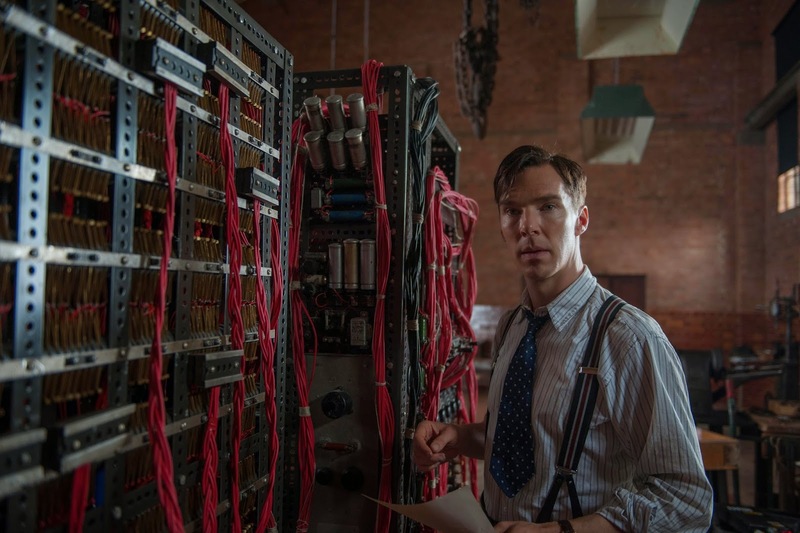 Review: Benedict Cumberbatch and Keira Knightley elevate mediocre "The Imitation Game"
Morten Tyldum’s The Imitation Game is a fundamentally flawed and mediocre film elevated by some great performances, lovely cinematography, and a gorgeous musical score. In the strange chemistry that determines a film’s overall effectiveness, I found it enjoyable enough, though even the impressive contributions of artists like Benedict Cumberbatch and Alexandre Desplat are inadequate to make me ignore the shortcomings of Graham Moore’s woefully inadequate script. Moore has distilled the life of British mathematician Alan Turing – who broke Germany’s Enigma code and, in so doing, did a great deal to help the Allies win World War II – into a familiar exercise in Biopic 101, a film that is on the nose, overstuffed, structurally awkward, and with a certain whiff of fiction (or, at least, dramatic oversimplification) about all of it. Turing was a fascinating man, and at times – largely due to the acting and crafts work on display – The Imitation Game lives up to the legacy of this great and tragic figure (Turing, a gay man, was prosecuted for his homosexuality after the war, and committed suicide at the age of 41). More often, the film feels like a lot of passionate, earnest work being done in service of a middling, unexceptional core, and while the film is never less than agreeable, it ultimately never rises above disappointment. 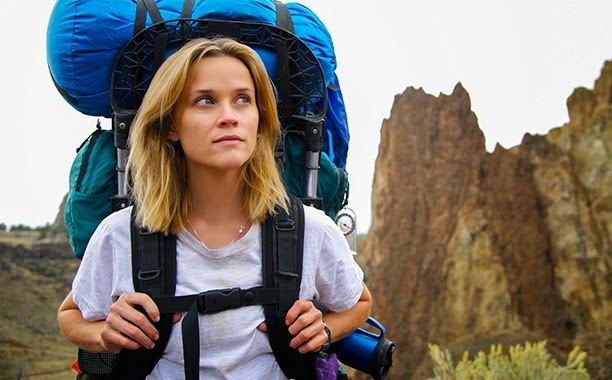 Review: Reese Witherspoon stuns in Jean-Marc Vallée's poignant "Wild"
The real-life story of Cheryl Strayed and her 1,100 mile hike along the Pacific Crest Trail is the sort of subject I could easily see being destined for simplistic Hollywood schlock. There are so many obvious avenues a studio could follow to wring all the humanity out of this tale, to exploit every ‘inspirational’ moment or personal triumph for maximum emotional manipulation, and to turn Cheryl and her story into a symbol or stereotype rather than a genuine human journey. Indeed, the most impressive thing about the film Jean-Marc Vallée and Reese Witherspoon have made is that it takes none of those easy paths. Wild is an insightful, deeply felt chronicle of a complex protagonist on a compelling, multifaceted journey, a modest and dignified film about overcoming grief, guilt, and other internal barriers. The film is emotionally rich, and absolutely inspirational, but it comes by these sensations honestly, only occasionally overplaying the story’s strong dramatic core, and always approaching the material with sensitivity and intelligence. As stories like Strayed’s go, I cannot imagine a more effective cinematic rendering than this. Review Round-up: Thoughts on the chilly "Foxcatcher" and exhilarating "Whiplash"
I’ve been working overtime these last few weeks, trying to see as many films as I can in preparation for my year-end Top 10 list, which you should expect to see here on the site on or around Friday, December 19th. There have been and will continue to be many reviews posting between now and then (and afterwards, even), but as a result of watching so much content, I’m not going to be able to give every film the full attention it deserves. Instead, as I did at the Denver Film Festival this year, I’m going to start posting articles with thoughts on batches of films, with 2 or 3 movies discussed per post. That gives me the chance to discuss a wider swath of content, without taking the time to write an individual review for everything (it’s a more taxing exercise than it looks). 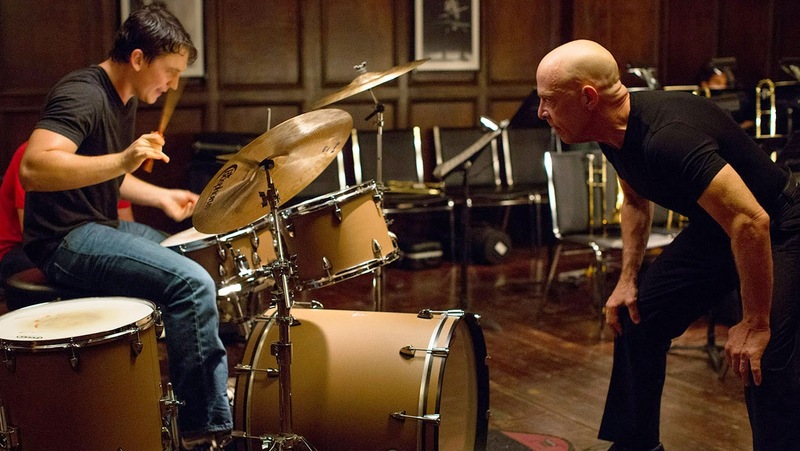 I’m starting this effort off today with a combined look at two of the most interesting films of the year, which are also sort of tonal polar opposites: Bennett Miller’s chilly true-story drama Foxcatcher, and Damien Chazelle’s exhilarating indie favorite Whiplash. For many, Studio Ghibli is synonymous with the work of Hayao Miyazaki; given the amount of attention his work receives from critics and scholars – myself included – one might be forgiven for thinking he is the studio’s sole major figure. That is hardly the truth, though, for Isao Takahata, the studio’s co-founder and other prominent director, is just as significant an artist; if Miyazaki is my favorite director, as I have often said, Takahata is just a little ways’ further down the list, and only because of personal taste and preference. Takahata’s body of work is smaller, and less well-known outside of Japan, but when one looks at the four films he made with Ghibli in the late-1980s and 90s, it is simply staggering what a powerhouse series of singular masterworks he has to his name. 1988’s Grave of the Fireflies may well be Ghibli’s greatest film, an anti-war statement like no other, and one of the most impactful and uncompromising uses of animation in film history. 1991’s Only Yesterday (which has never been released in North America) is the kind of poignant, well-observed portrait of daily life and small-scale human issues Yasujiro Ozu himself would be wowed by, and one of the most profound films I have ever encountered. 1994’s Pom Poko is, artistically speaking, Takahata’s equivalent to Spirited Away, a positively overwhelming exercise in visual imagination with a beautifully delivered environmental message. And 1999’s My Neighbors the Yamadas saw Takahata, always an adventurous filmmaker, take his experimentation to new heights, illustrating the highs and lows of a quirky family with a boldly minimal watercolor aesthetic and an episodic, ‘anything goes’ approach to storytelling. After that, though, Takahata disappeared for a long time; perhaps part of why he has remained obscure in the west while Miyazaki’s stature continued to grow is that, during the period in which Ghibli’s films became widely available around the world, Takahata produced nothing new. I feel his legacy would have been secure even had his feature career ended in 1999 – it may have required a scholarly push of re-discovery at some point, but those films are too great to be ignored – but after 14 years, he has finally returned with a new film, and it is the kind of work destined to ignite a newfound passion for Takahata’s filmmaking around the world. The Tale of Princess Kaguya (Kaguya-hime no monogatari) – now playing in select cities throughout the United States (I am reviewing it from the Japanese Blu-Ray release, which arrived this week) – is a film of such astonishing ambition and artistic control that, after one viewing, my thoughts on it are, in all honesty, rather limited. My grasp on what Takahata has made here is far from full, and while I could try to blame that on various perceived shortcomings – at different times, I wondered if the film was too long or indulgent, too insular and restrained to leave an impact – I think the fault can only lie with me. This is not a film made to be digested in one viewing, and it builds to a final half-hour so enormously powerful and piercingly profound that I look forward to revisiting the rest of it, and seeing how my reading and reaction may evolve. 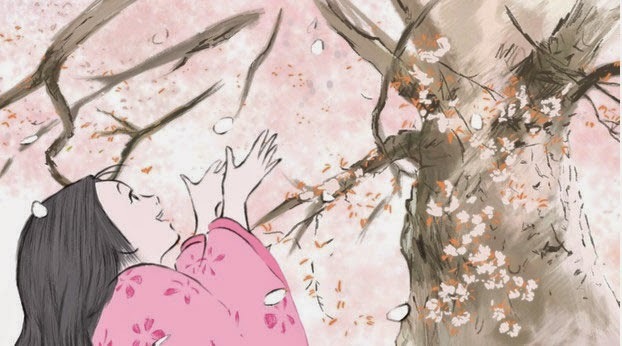 The effect The Tale of Princess Kaguya had on me is not one I can yet quantify – all I know for sure is that it was immense. "Seeing With Eyes Unclouded: Representations of Creativity in the Works of Hayao Miyazaki" - my undergraduate thesis project is available online now! You may remember that for a long stretch this year, between August and early November, I posted next to nothing here on the site, save for the podcast - and even that got interrupted periodically. While I have spoken about the reasons for my absence a little bit on the show, I have not written about it in text here, and today, I can not only explain to you where I was and what I was doing, but actually show you. For the majority of the Fall, I was working on my undergraduate Honors Thesis at the University of Colorado at Boulder. This is the process by which the University designates Latin Honors for graduation, and gave me the opportunity to create something I have wanted to write for a very long time. Over the past year, and during the last few months in particular, I researched and wrote what is effectively a book-length study into three specific films by Japanese animation director Hayao Miyazaki, who many of you may know is my favorite film director. 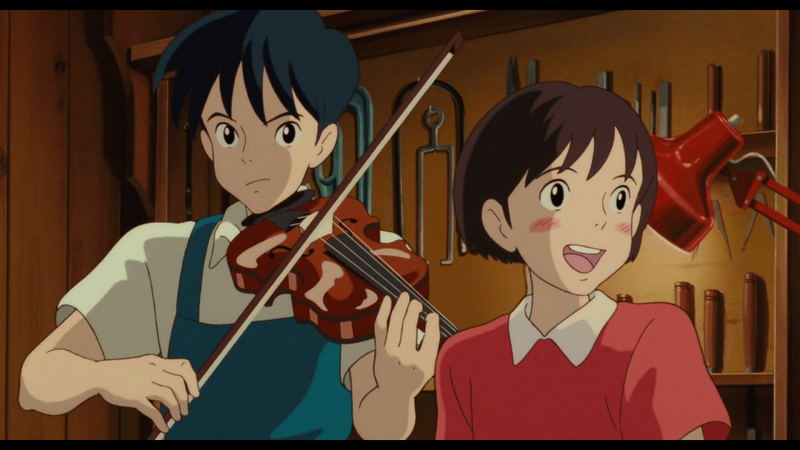 This study, focusing on the way creativity is represented and explored in three of his most fascinating films - Kiki's Delivery Service (1989), Whisper of the Heart (1995), and The Wind Rises (2013) - was a real passion project for me. It is called Seeing With Eyes Unclouded: Representations of Creativity in the Works of Hayao Miyazaki, and it is both the most challenging and rewarding project I have ever taken on; I also think it is the best thing I have ever written. And now, you can read the entire thing, online and for free, at the CU Scholar portal, where it has just been published. You can visit the main splash page for details on the project and links to download, or follow this link for direct access to the PDF, which can be read online or downloaded and perused locally. 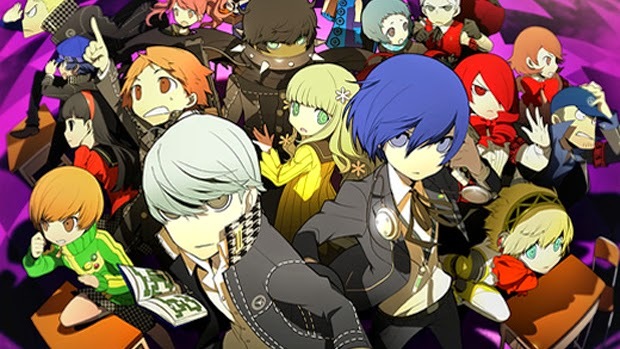 The Weekly Stuff Podcast #102 - Persona Q, Far Cry 4, Star Wars VII Teaser, November's broken video games & so much more! Since the podcast has been away for a few weeks, we basically had the entire month of November to catch up with, and that left us with a lot to talk about this time. Over the course of an extra-long episode, we offer our reactions to a slew of recent video games – including Far Cry 4, Dragon Age: Inquisition, Halo: The Master Chief Collection, and most importantly, Persona Q: Shadow of the Labyrinth – discuss some recent movies and movie trailers – including the much-hyped debut of the Star Wars: The Force Awakens teaser – and finally, provide some thoughts on the recent, unsettling trend of video games arriving utterly broken at launch (a la Assassin’s Creed Unity). It’s a busy, jam-packed episode, but also a really fun one, with a good assortment of topics to help us head into the end of the year. As explained in this post, the Starz Denver Film Festival is once again upon us, and I have been relating my experiences with the various films I see in daily reports and individual reviews. For all Starz Denver Film Festival 2014 coverage, please visit this link. The final day of the festival offered an interesting study in qualitative inverts for me. I found Eskil Vogt’s Blind, the first film of the day, to be only somewhat engaging in the moment, and yet it is such an intellectually rich film, with such an interesting and carefully considered perspective, that it stuck with me through the next screening, and all the way onto now, where it is still cycling through in my head. The things that make it a little icy and distant in the moment are also the things that make it fascinating and rewarding. Olivier Assayas’ Clouds of Sils Maria, on the other hand, is a film I largely enjoyed while watching, due to some terrific performances and captivating visuals, yet it is on the whole an uninteresting and unmemorable film, so overwritten, pretentious, and structurally undisciplined that it shuts the viewer out at every turn. It has the air of inviting, stimulating cinema about it, but is ultimately a hollow, unmemorable experience. SDFF 37 Review: The Zellner Brothers craft a singular, fascinating yarn in "Kumiko, the Treasure Hunter"
Films are strange things. The ‘object’ is merely a series of images projected through light, and yet, once a film is first shown to an audience, it has the potential to take on a life so much larger than its simple base form. The phenomenological distance between what a film ‘is’ and the effect a film ‘has’ is at once fascinating and baffling to me, and the more I study the medium, the more complex, confusing, and amazing it becomes. A film can leave us with an impossibly vast array of emotional and intellectual reactions, ranging from sheer indifference to fiery passion. We can be transfixed by the imagery, transported by the setting, and enraptured by the story, all to extents so extreme that reality and fantasy can begin to blur. We can literally fall in love with characters, devoting large swaths of time to watching and rewatching an on-screen figure’s exploits, or following them through subsequent films. A movie and all its component parts can uplift us on a bad day, bring us down on a good day, and broaden our horizons more than should be possible by simply sitting in a darkened room and looking at a screen. For what a film actually ‘is,’ the sway movies can hold over our lives is extraordinary. There is something beautiful about that, a wonder inherent in the power of cinema that drives many of us to devote our lives to studying it. Yet cinema’s power is so immense and unknowable that there is also something equally frightening about it, a terror that comes from the possibility of losing oneself in the fantasy. In this way, perhaps cinema is inherently sublime, existing at an intoxicating intersection between the wondrous and the terrifying, the immediate and the unknowable, where the only response upon arriving is to follow the sensation further, no matter where it might lead. David and Nathan Zellner’s Kumiko, the Treasure Hunter is about a character lost within this intersection – and, by extension, about all of us who derive pleasure from surrendering to the allure of cinema. The film’s title character, Kumiko, is a 29-year-old office worker in Tokyo, as dissatisfied with life and detached from her surroundings as it is possible to be. As played by Rinko Kikuchi in one of the most fully-realized performances of 2014, Kumiko looks physically uncomfortable merely existing in the world, her frustrated antipathy for nearly everything around her simmering just beneath the surface at all times. Coiled, introverted, and seemingly incapable of making eye contact with another human being, Kumiko looks as if she just wants to shed her skin and flee, leaving all parts of herself and her setting behind. The only time she seems content to exist on this earth, let alone feel comfortable, is when she is alone in her apartment at night, sitting right up close to the TV and watching an old, battered VHS tape of Joel and Ethan Coen’s Fargo.